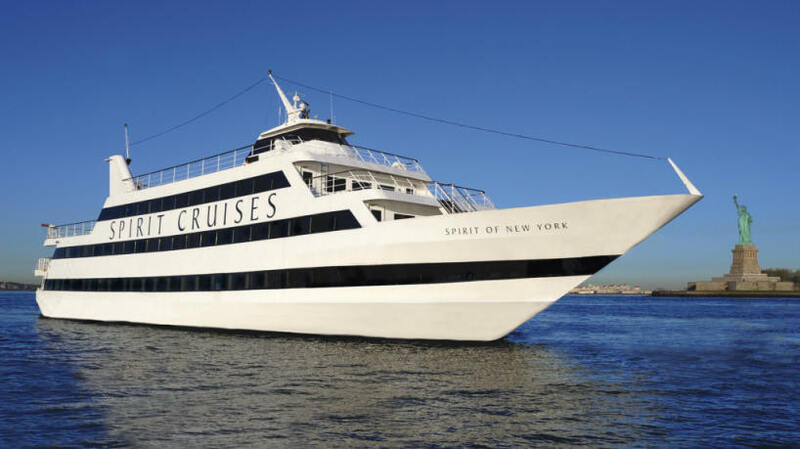 NYC yacht charter, The Spirit of New York, has three interior decks, plus outdoor observation deck. 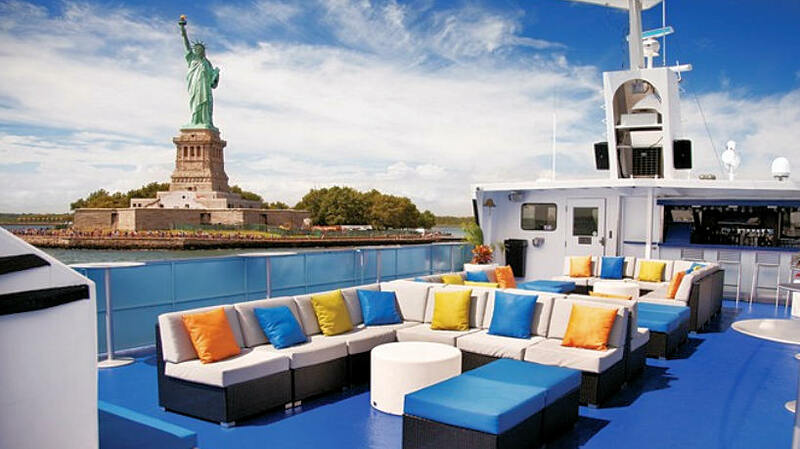 This private NYC yacht charter is a truly unique setting for any event or New Jersey or NYC dinner cruise. 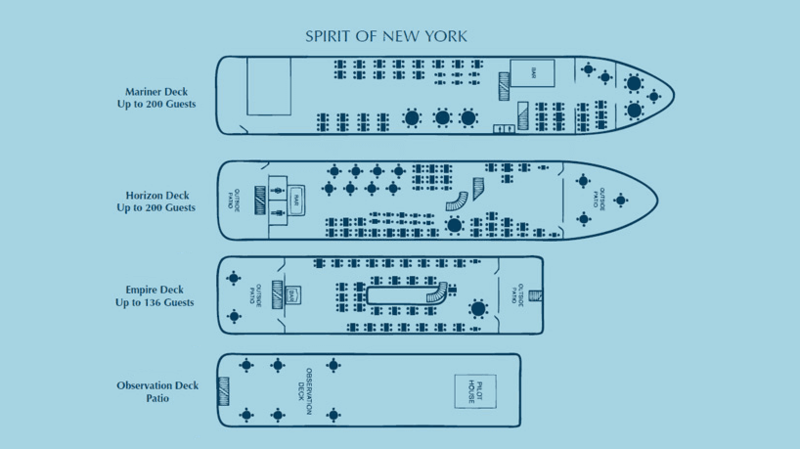 The entire ship can accommodate up to 600 passengers. 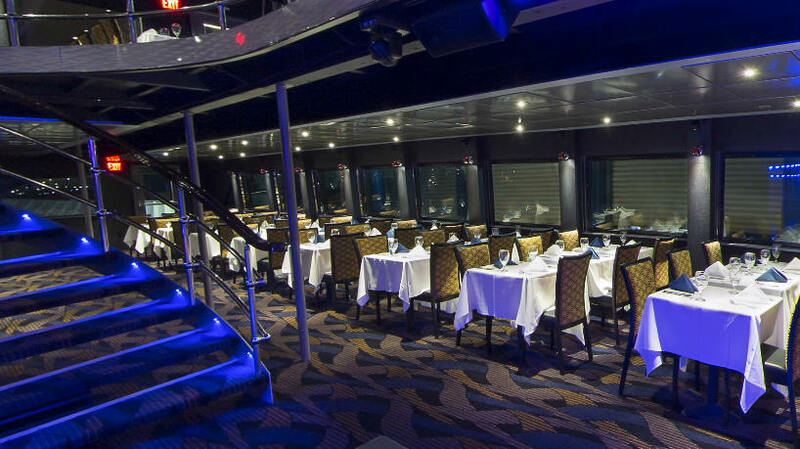 Dining is on both the second and third decks. Dance to contemporary sounds in our nightclub located on the first level, or relax with cocktails in the lounge. The second deck is the hub of your dining and entertainment experience. Here, up to 275 guests enjoy gracious service from waiters presenting delicious meals or hors d'oeuvres, complemented by breathtaking views of the majestic New York City Skyline and a dazzling live show. 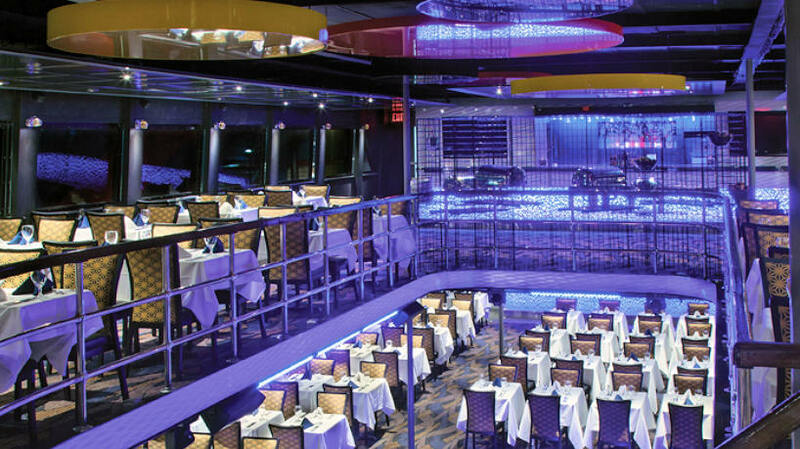 Performers entertain with a "live cabaret show" from an elevated stage that winds through the main dining deck, assuring every table a clear view. 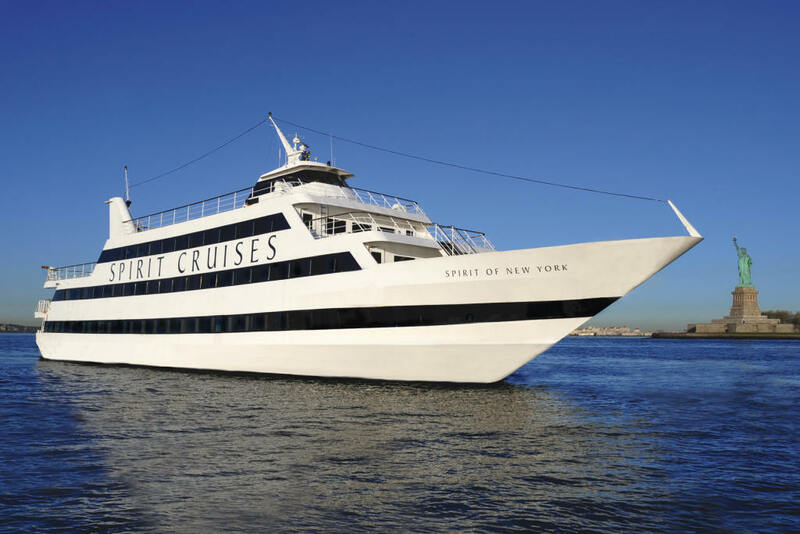 Accessible via a dramatic interior winding staircase, the third deck seats up to 150 guests who enjoy a delicious NYC dinner cruise served by attentive waiters and intimate serenades from performers. 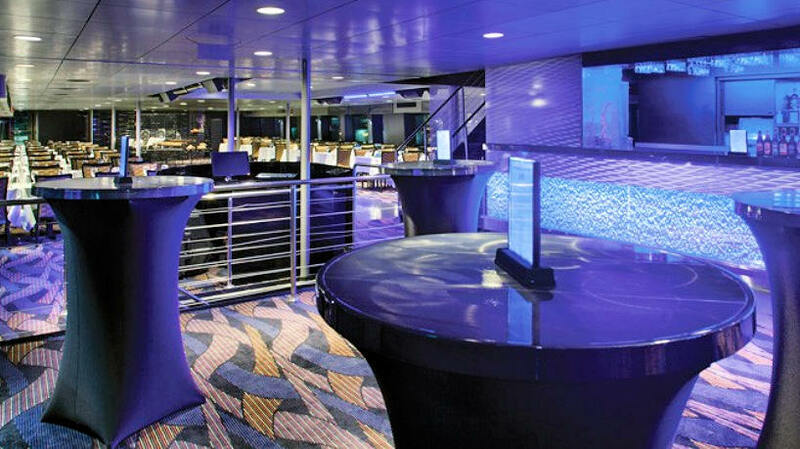 Though completely open to the activity and entertainment below, this upstairs deck offers a more subdued atmosphere. Special themes, decorations, entertainment, bar packages and menus are available to suit your special occasion. Available for FULL SHIP CHARTERS ONLY.